With population expected to hit 6 million in 2027, the Queensland Government is accelerating its commitment to accommodate for an increased need of transport services. Brisbane, Australia’s third largest city is set to experience a $15 billion infrastructure boom over the next few years as big projects make a comeback. Against this backdrop, the Queensland Transport Infrastructure Conference will be held on the 18th - 19th June at the Brisbane Convention & Exhibition Centre. Running in its 10th year, the 2-day event will profile a vast range of transport and infrastructure works critical for a growing state. Over 20 industry experts from within the government and private sector will be headlining the event including Graeme Newton Chief Executive Officer, who will be presenting the latest updates on the state defining $5.4 billion Cross River Rail Project (CRR). 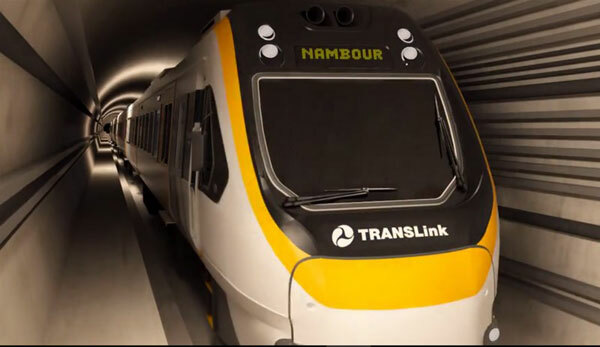 With more than $10 billion in infrastructure projects invested into Brisbane city over the next few years, the Cross River Rail Project forms a major part of the upcoming transformation of the State’s transport capacity. Queensland’s Electric Vehicle Strategy will be a prevalent topic to be featured in this year’s program. The strategy aims to prepare and position Queensland for a transition to a greater uptake of electric vehicles (EVs) ensuring that the state is in the best position to capture the benefits and opportunities that these vehicles will bring. Another highlight at this year’s conference will be the discussion on how emerging technologies continue to revolutionise the transport industry and how people engage with the transport system and view mobility. A keynote presentation on Mobility as a Service (MaaS) and what it means for the future of transport in Queensland will round out the dialogue on this topic. Perceived as a better way to manage traffic congestion using existing public and private infrastructure, MaaS combines mobility services from public transport, taxis, car rental and car/bicycle sharing under a single platform that’s accessible from a smart phone. Other exciting projects on the cards for Queensland include the Brisbane Metro, Brisbane International Cruise Terminal, Pacific Motorway M1 upgrade Mudgeeraba to Varsity Lakes Project, CAVI Project as well as a panel discussion exploring Brisbane’s transport challenges and debating the sustainable transport conundrum. Registrations are open for the 10th Annual Queensland Transport Infrastructure Conference 18-19 June 2019 at the Brisbane Convention & Exhibition Centre. The 2-day conference will look at infrastructure development and planning for the state as well as the latest trends and industry innovations.